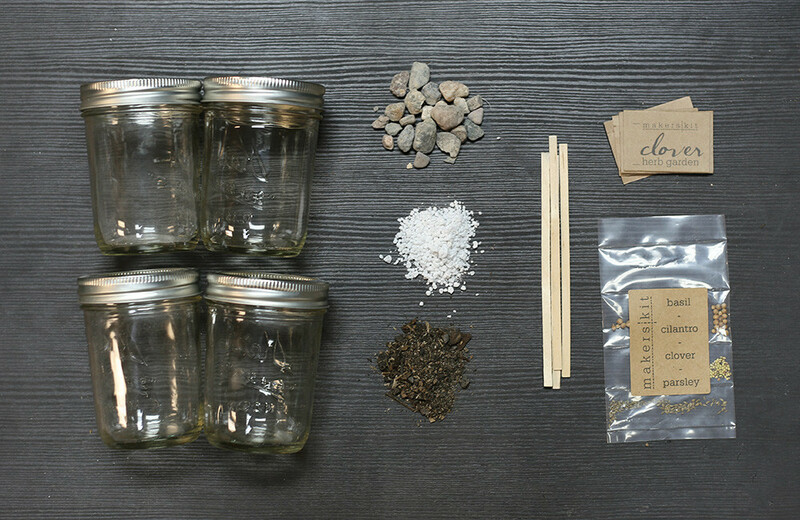 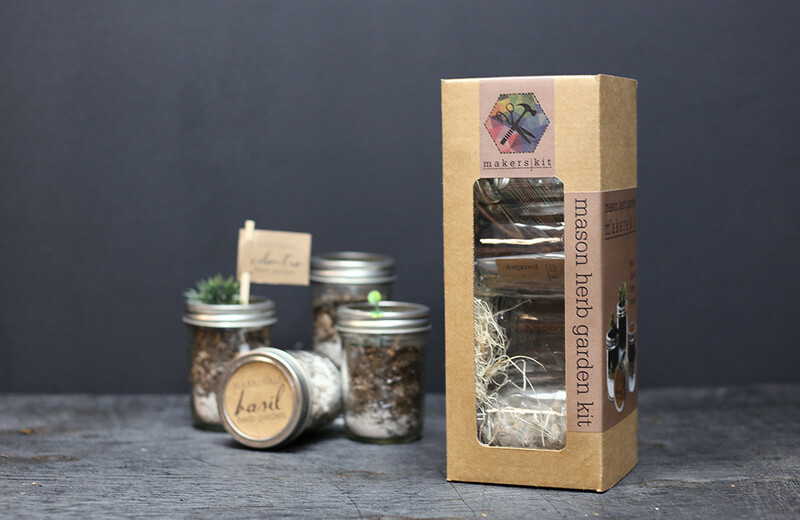 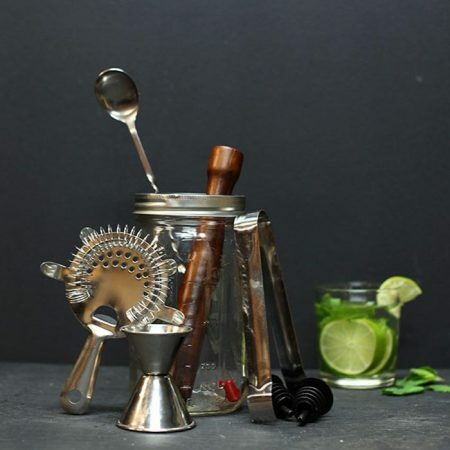 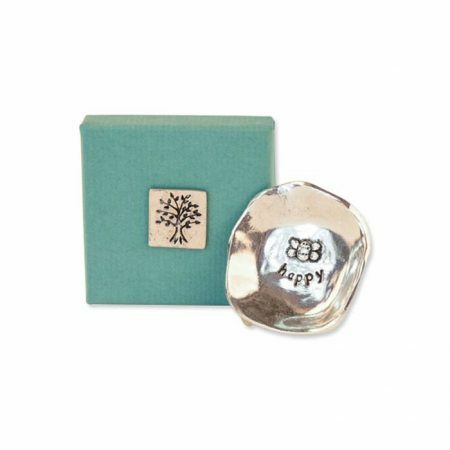 Mason Herb Garden Kit. 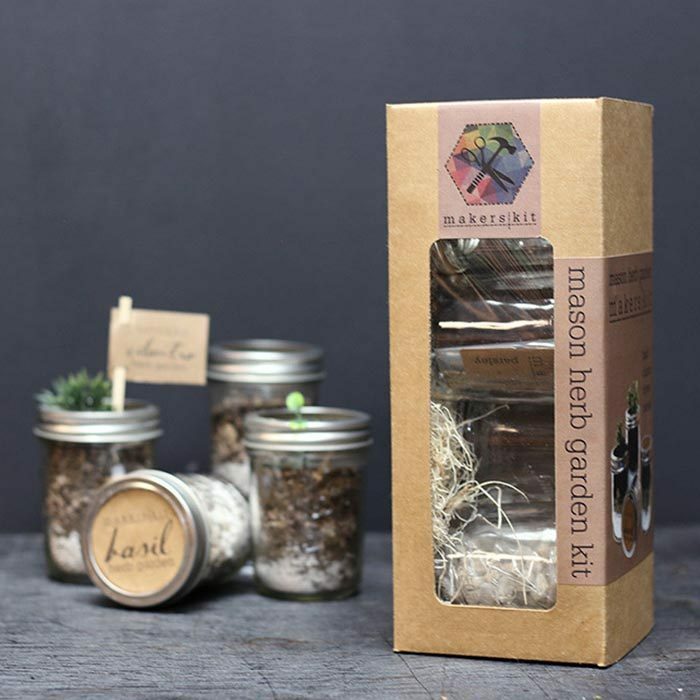 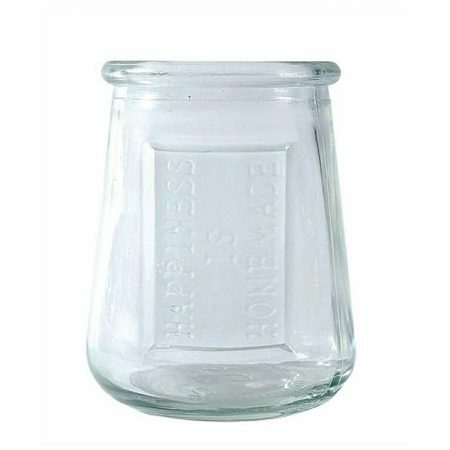 This half pint Mason Jar Herb Garden is perfect if you love fresh herbs but lack a green thumb! 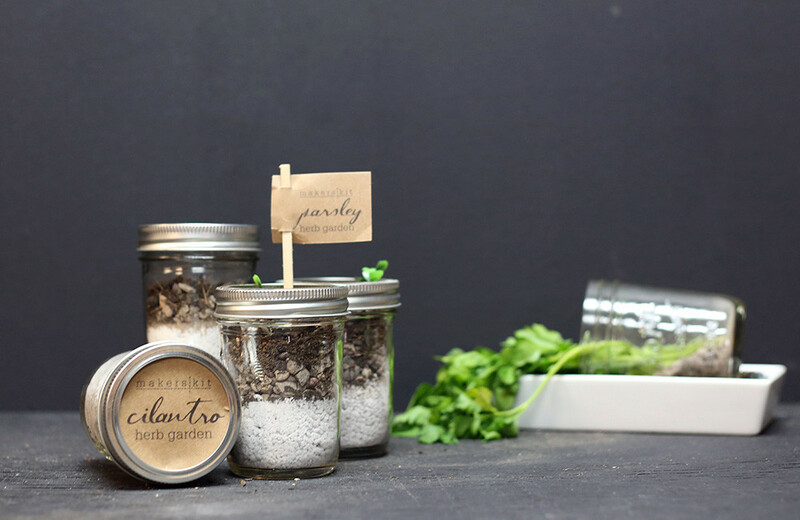 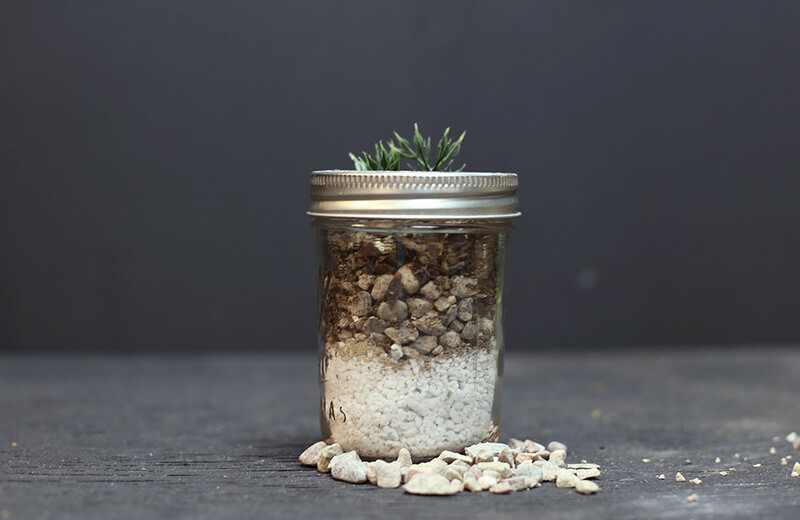 A special blend of perlite, pea pebbles and organic soil create a self-watering system, all you need to do is water up to the rock line once a week and you’ll be enjoying freshly grown herbs right in your own kitchen.